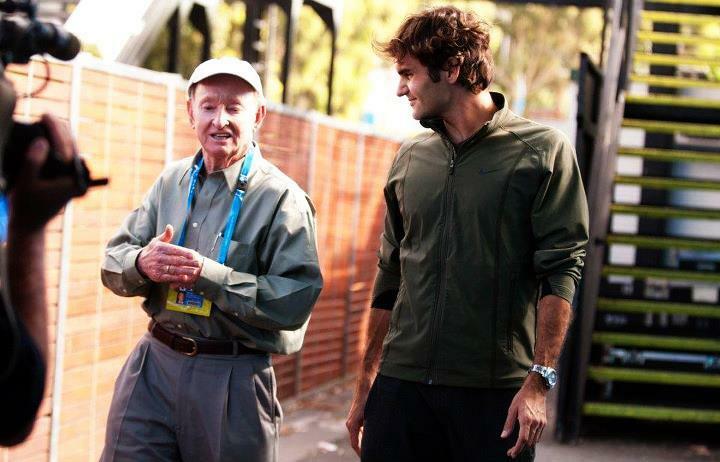 Roger Federer and Rod Laver were together at the ESPN studio yesterday in Melbourne Park, site of the 2012 Australian Open. A fantastic sight showed both the Swiss maestro and the Rocket, happy and relaxed, full of respect for one another. Watch them converse alongside Darren Cahill and colleague Chris. Watch Roger Federer take on Rafael Nadal on FF07tv (Thursday, January 26 – 7pm Melbourne time).